An empowering story of a woman who decides to take back control. On her 60th birthday Cathy should be celebrating but it rapidly goes downhill. “In the shop they didn’t see me. 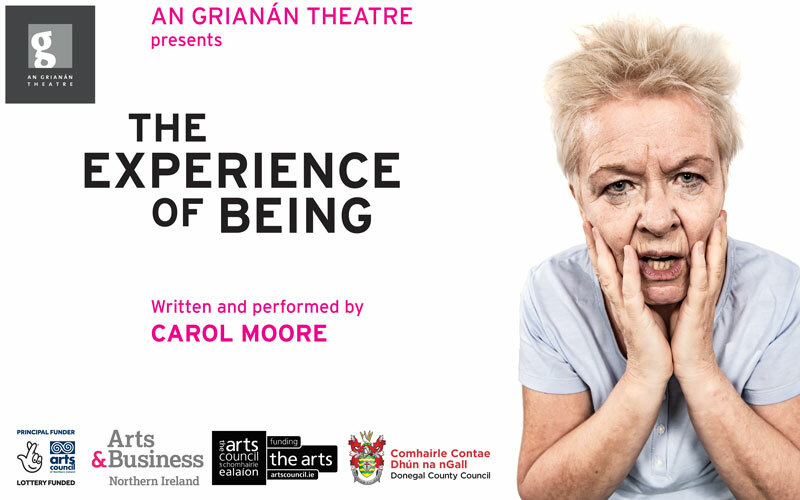 The Experience of Being is a funny, absorbing and moving one-woman play about dwindling power, how to challenge it and why ageism makes growing older far harder than it needs to be. Post show Q&A available at some venues. 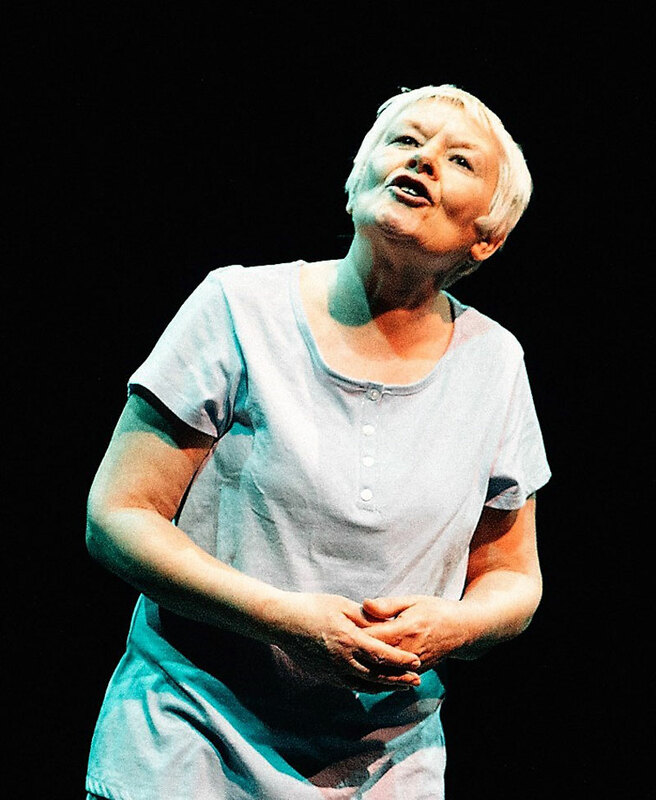 On reaching 60 in 2016, actor/writer, Carol Moore didn’t see herself reflected in contemporary Irish theatre, nor was she being offered challenging roles for her own age-group. She felt invisible as an older woman and redundant as an older artist. For 18 months Carol has been writing and developing a one-woman play titled “The Experience of Being”. The play straddles two worlds. One is memory where conflict, religion and power from many sources limited the choices of girls and young women growing up in Belfast, while in the present Carol is holding up a mirror up to society’s obsession with youthfulness and where power can so easily be stripped from older citizens. The play examines power and gender stereotyping, age myths and the challenges of ageing facing us all. It is an original, funny and absorbing interdisciplinary production which uses text/physicality/music to tell a powerful story that connects and resonates with a 50+ age-group but also engages with audiences across all age-groups. Supporting Carol is a critically acclaimed creative team. Director, Patrick J. O’Reilly, is Artistic Director of Tinderbox Theatre Company, composer Conor Mitchell is Artistic Director of music/theatre company, Belfast Ensemble, choreographer, Oona Doherty, is an internationally acclaimed dancer/choreographer and saxophonist while Kevin Lawless is a highly skilled Irish musician. It has been produced by An Grianán Theatre, Letterkenny to to tour nationally during May 2019. A showcase of the production was performed at Prime Cut’s theatre symposium in January at the Mac Theatre, Belfast. Carol Moore has maintained a freelance career across four decades in acting, theatre directing, film directing and drama facilitation. Carol was co-founder/co-Artistic Director of Charabanc Theatre Company 1983 –’95, their adoption of research and oral interviewing, taking people’s life-experiences and transforming those into theatrical experiences, then delivering it back in non-traditional theatre venues was ground-breaking in reaching new audiences. Charabanc brought Northern Ireland to the attention of international academics and gained both a national/international reputation. Carol’s acting career includes work with many leading Northern Irish companies including Charabanc, the Lyric, Tinderbox, Brassneck and Kabosh as well as international touring to North America, the former Soviet Union, Germany, South Africa and Rwanda. Carol has directed a number of plays including at the Lyric Theatre in the early 1990’s and was one of a number of directors on Convictions (Tinderbox) which won ‘Best Production’ at the Irish Times Awards, 2000. 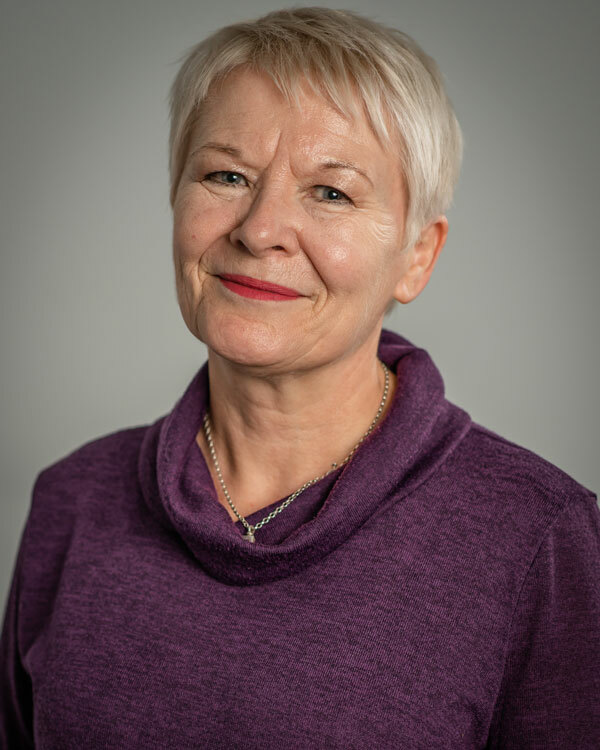 As a writer her work includes a book about Charabanc Theatre company, a monologue about the first Irish women trade unionist Mary Galway, Shrieking Sisters with Maggie Cronin and one-woman play The Experience of Being (previously titled Dangerous Female). 2005) making a series of documentary films around cultural diversity, which screened at International festivals. She received a Best Actress nominaton in Reefer and the Model at the European film Awards, 1989. Carol was a Creative Consultant for arts/heritage organisation Red Lead Arts (2003/6) curating Belfast as it Used to Be and directingThe Iceberg and The Liverpool Boat.